As I’m sitting here typing, my eyes are filled to the brim with tears. 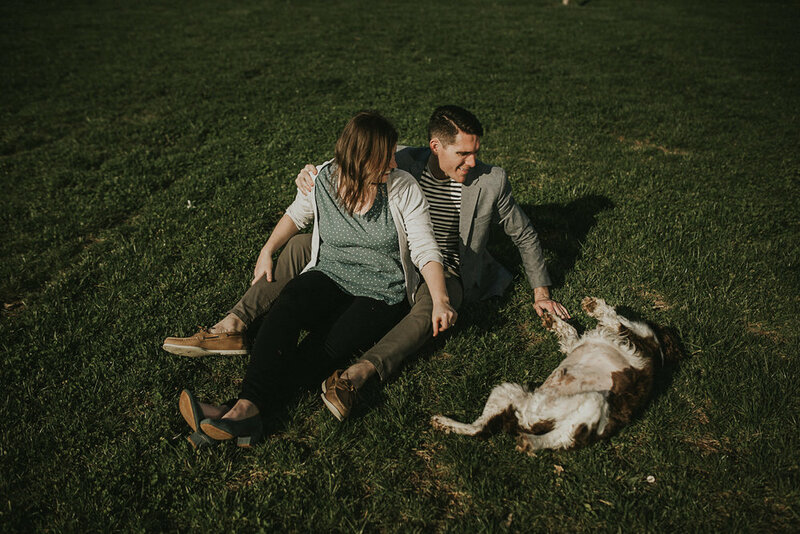 I guess I should start by saying I absolutely adore these engagement photos of Mary Claire (MC), Max and their adorable four-legged child, Duke. I love MC’s adorable shyness and how Duke was a little skeptical of me and this whole shindig from the start. I love the authentic joy captured, the intimate moments & tiny gestures of love they exchanged. I love it all. But more important than all that stuff, I love these photos because the capture a chapter in this couple’s lives that has since ended. 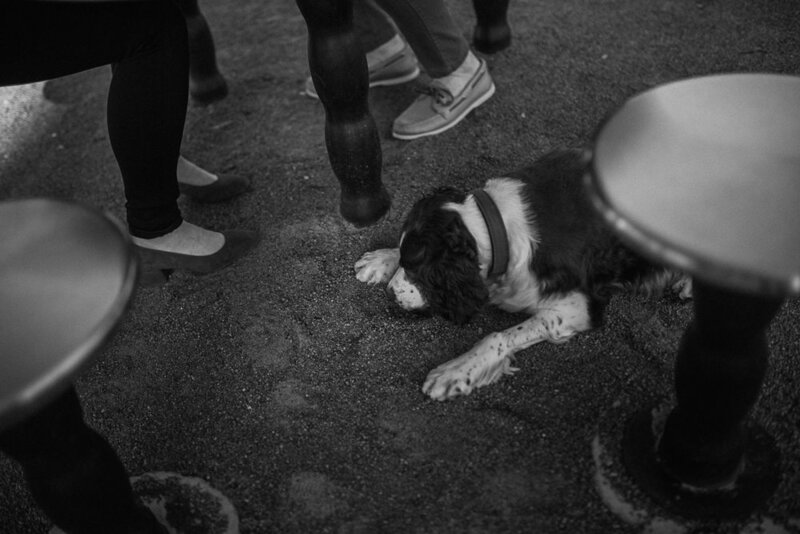 Sadly, A few weeks after our session, I learned that Duke let go and went to Doggy Heaven. And my heart broke for them then, just as sorely as it does now. I’m honored to have met Duke, he was one seriously awesome dog and when the dreaded day comes for me to say goodbye to my Zoe, I hope that she finds him and they become the best of friends. I’m beyond honored to have been chosen to document this tough-but-also-beautiful time for this couple. And for Duke? Well he loved every minutes of it. 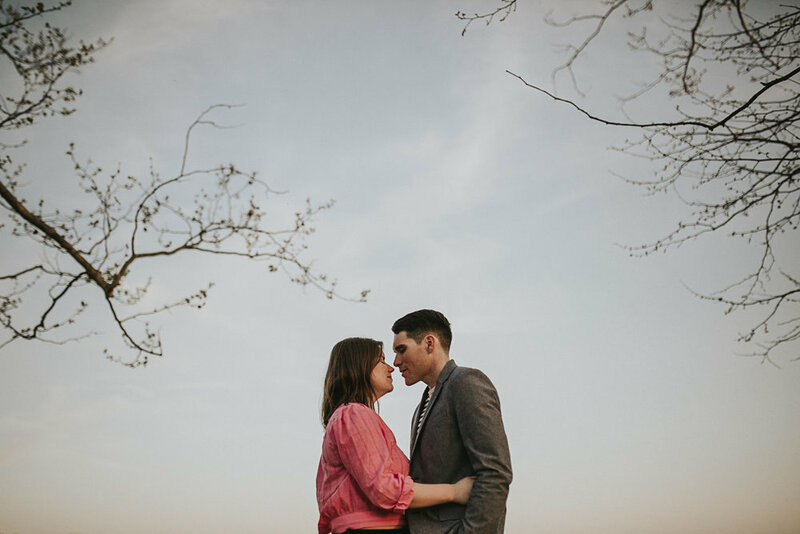 He smelled allll the things and got in the water at the riverfront in downtown Nashville and at Percy Priest, and got extra cuddles from mom & dad all day long… Even if there was this weird lady with a camera following them along everywhere…. the moon rise. It’s full tonight.